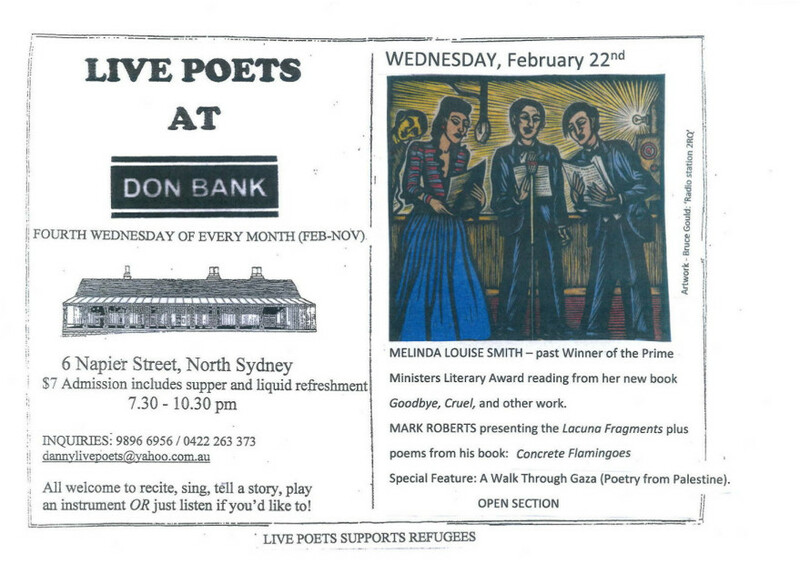 I’m looking forward to reading with Melinda Louise Smith and listening to A Walk through Gaza (Poetry from Palestine) this coming Wednesday night at the Don Banks Museum, 6 Napier Street North Sydney from 7.30 pm. I will be reading poems from my new manuscript Lacuna as well as some from my last collection Concrete Flamingos. Many thanks to Danny Gardner for inviting me.